As part of our dedication to peerless professionalism, we want to be in touch whenever you need us! That’s why we make it easy to contact Driver’s Way in Pelham and Birmingham right online. It’s as easy as filling out a form! Fill out the Contact Us form with your name, number, and email address and someone will get back to you shortly. Don’t forget to add a message - that will ensure that we pass your information on to the person who can be the most helpful to you. If you prefer to talk on the phone, you can reach us during our office hours at either our Birmingham or Pelham Driver’s Way locations. We know that when it comes to car shopping, there’s only one way: the Driver’s Way. Our locations are built with you in mind, which is why we have such accommodating hours, two convenient locations, and plenty of options when it’s time to reach out to us! Whether our Pelham or Birmingham location is more suitable for you, you can have peace of mind that you have an extensive selection of used cars, trucks, vans, and SUVs awaiting you when you shop with us. 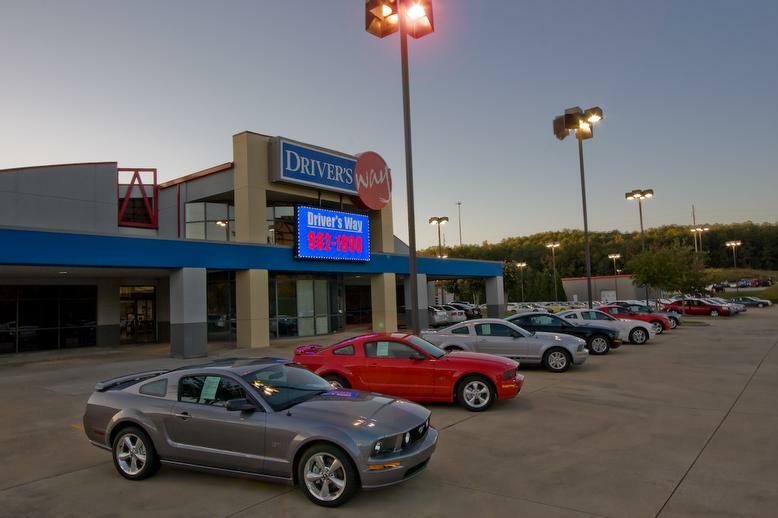 Visit Driver’s Way today for a fulfilling and professional shopping experience. Don’t settle for less!